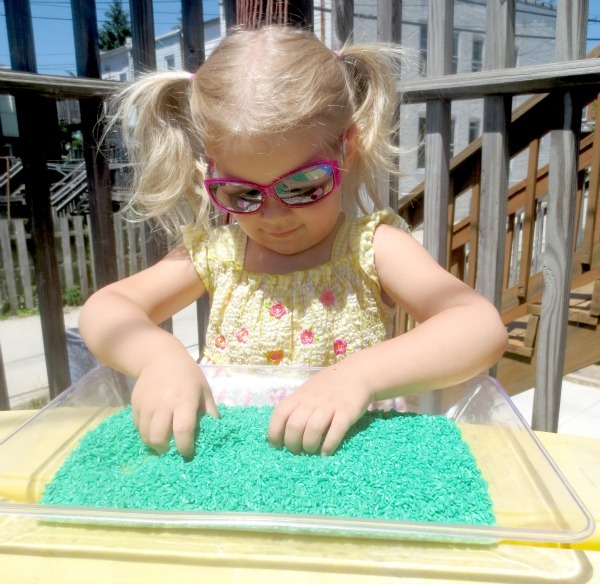 Rice is such a fabulous sensory material, and one that we have in constant rotation. 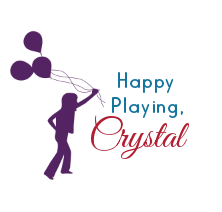 It is very inexpensive and has such a fun and therapeutic texture. There are also TONS of ways you can color and scent it to create all different play experiences. 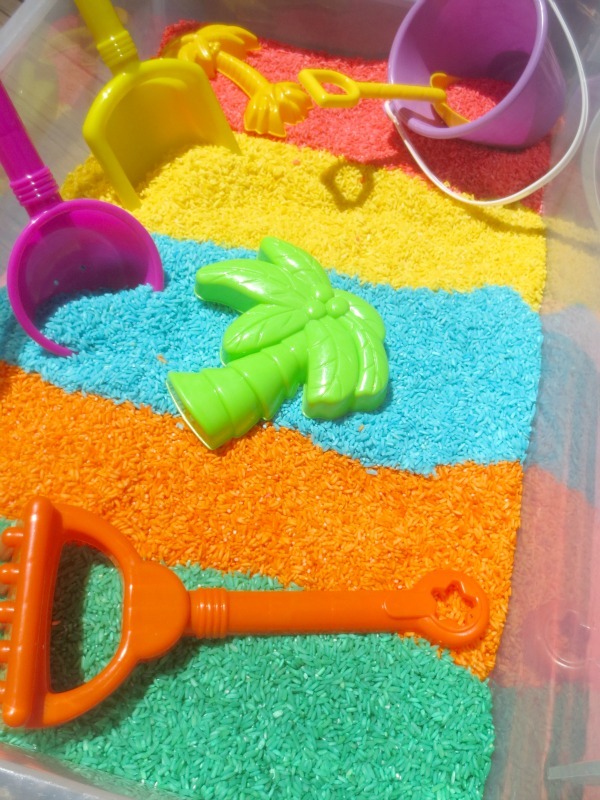 Some of our favorite rice play recipes that we have shared have been glowing rainbow rice, Christmas scented peppermint rice, and eucalyptus aromatherapy rice for soothing sick kids. 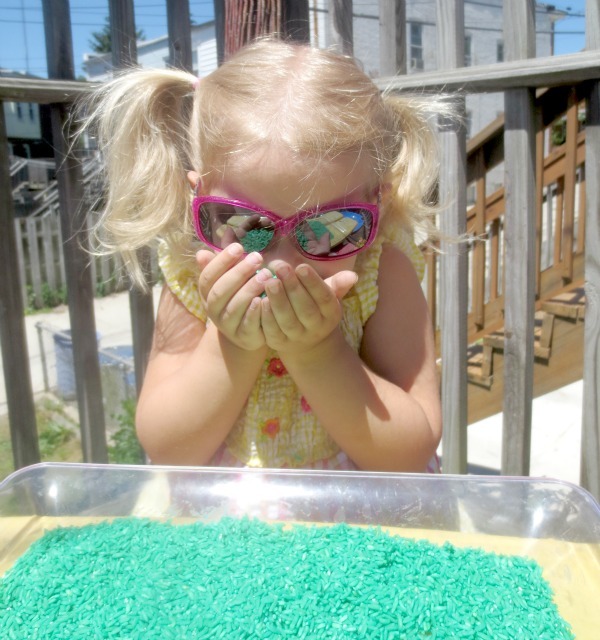 Today I am excited to share our latest sensory rice that we have in rotation. 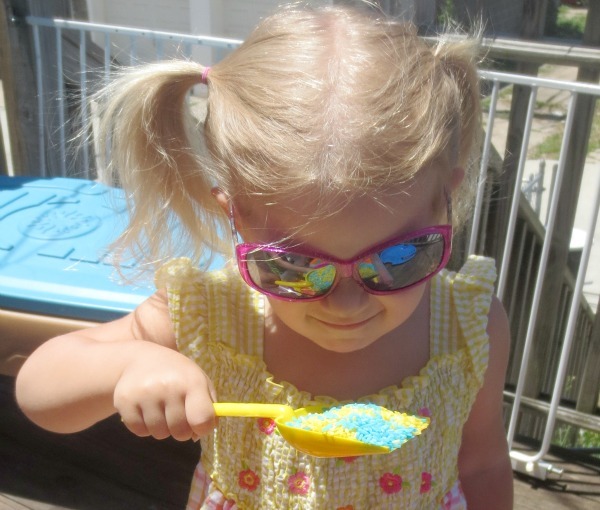 Summer, glorious Summer! 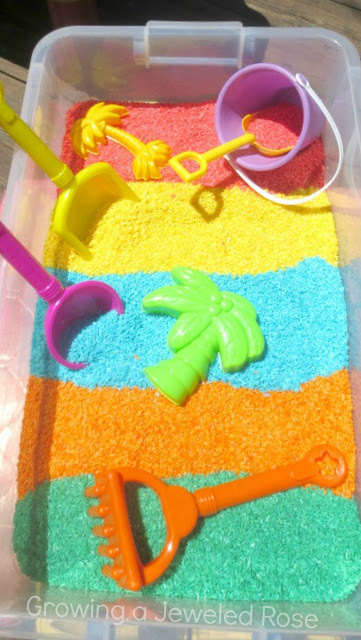 I wanted this Summer sensory bin to capture the essence of Summer through scent so I made four different scented rice varieties in FUN Summer colors. 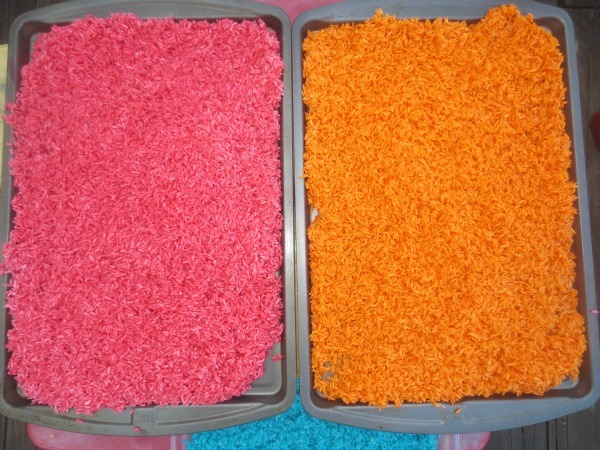 Making scented rice is really easy and inexpensive. 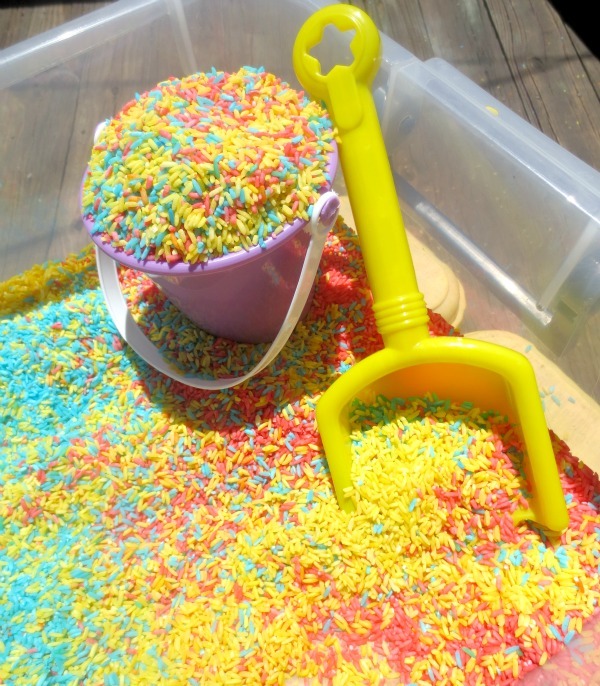 It also lasts indefinitely, or until it gets soiled, making it great for repeated play. 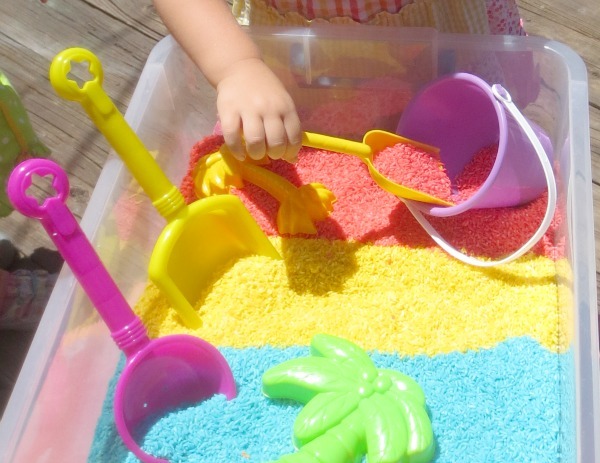 We plan to keep our Summer SCENTED Rice in rotation all Summer long! 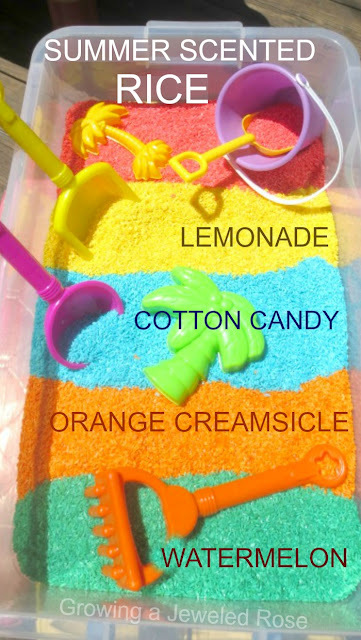 As for the smell, just one wiff and you get all the best aromas of Summer! Pure bliss! 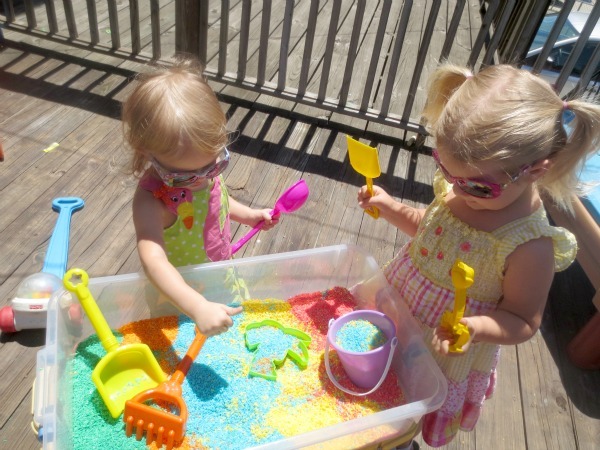 We have had our Summer Scented Rice about a week, and the girls have played with it everyday since we made it! 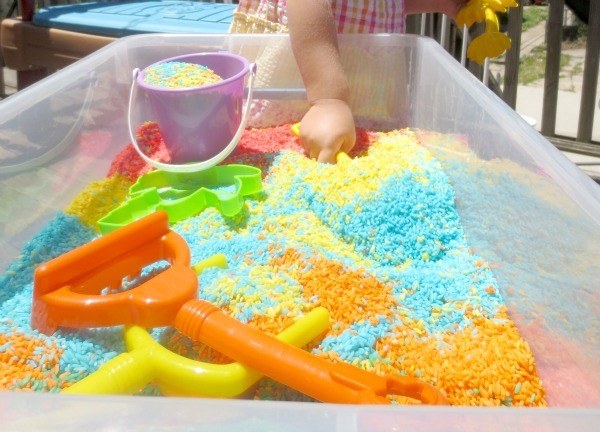 You could add this to your sensory table or simply store it in a covered container. 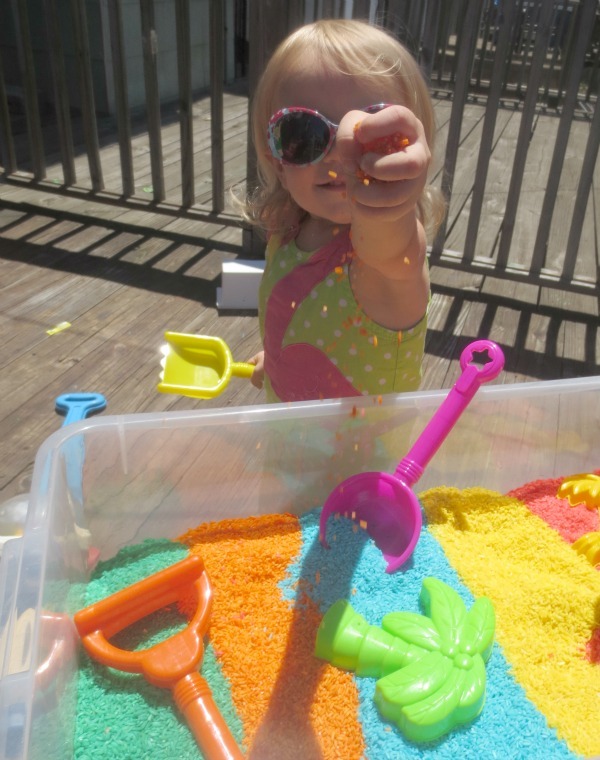 Rice is slightly less messy than sand with a completely different texture. 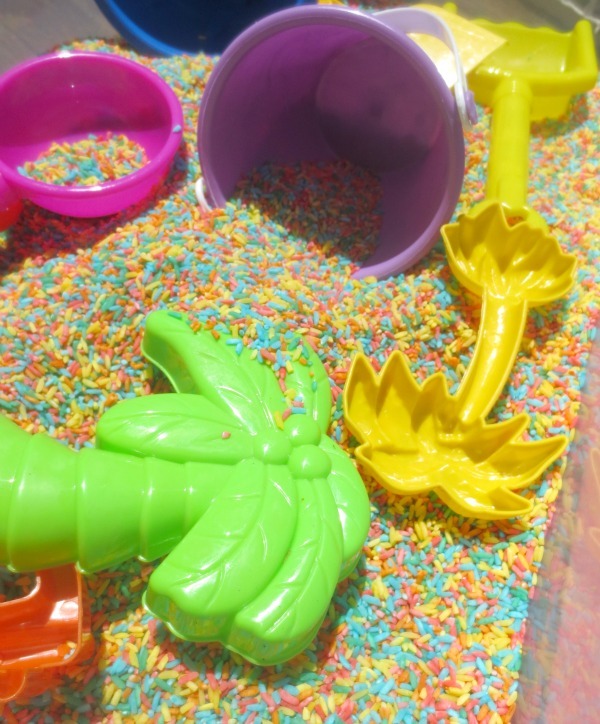 It makes noise when poured, has a calming effect , doesn't track into the house like sand, and keeps indefinitely, making it a favorite for not only Jewel and Rosie but mom and dad, too! 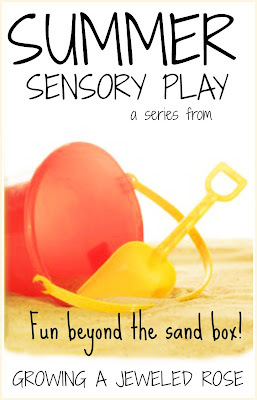 Fun Beyond the Sand Box!